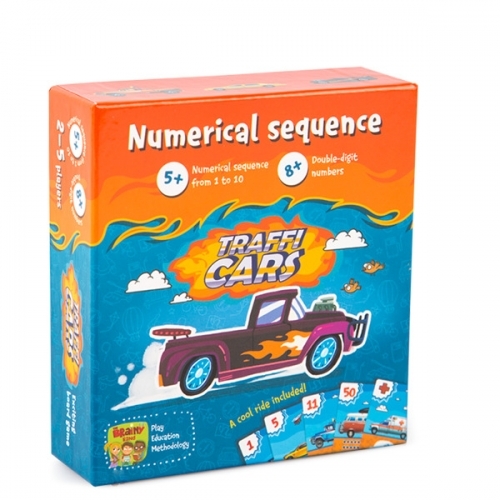 Playing Trafficars, children achieve command of numbers from 1 to 50 and learn to compare double-digit numbers. 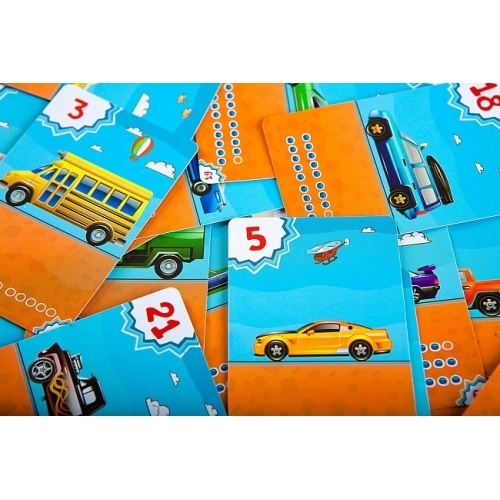 The game helps kids visualize the concepts of “intervals” and “difference”. Children accumulate knowledge easily and willingly in the course of this exciting activity. 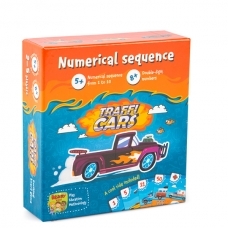 Even children who only know numbers from 1 to 10 can play Trafficars. 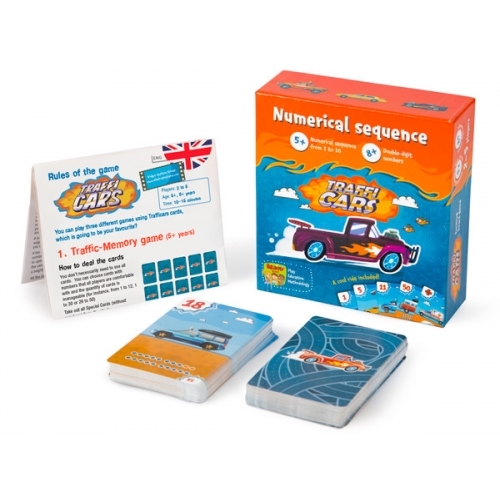 Rules for beginners allow for gradual introduction of two-digit numbers. The more challenging the game becomes, the more interest it provokes and the more skills the players gain. 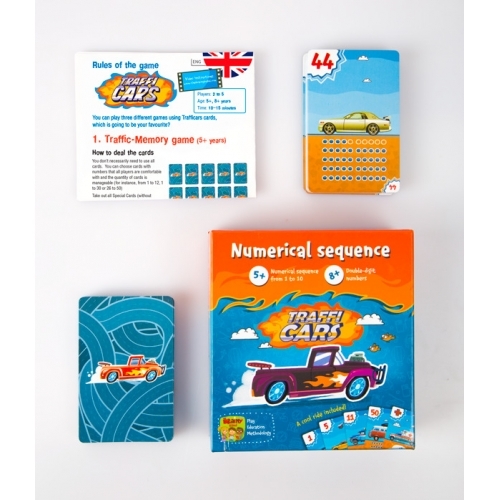 Trafficars activates logical and strategic thinking, along with the ability to assess situation several moves ahead and to predict the opponents’ actions. This makes it interesting to older children and adults. 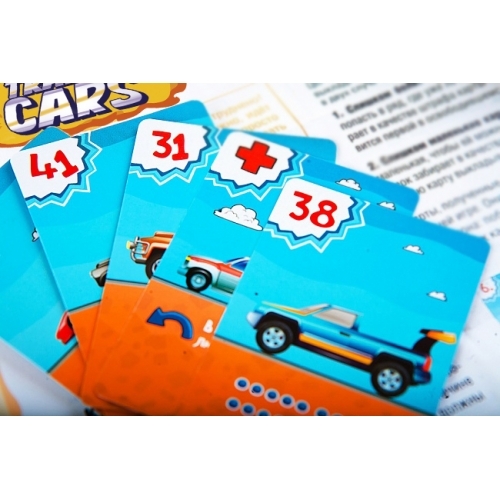 The game set includes cards with pictures of cars, every single one of them different. The number of dots on the cards corresponds to the number, which is also printed on them. This little trick helps children deal with some complications: the dots indicate the difference between such numbers as 13 and 31. 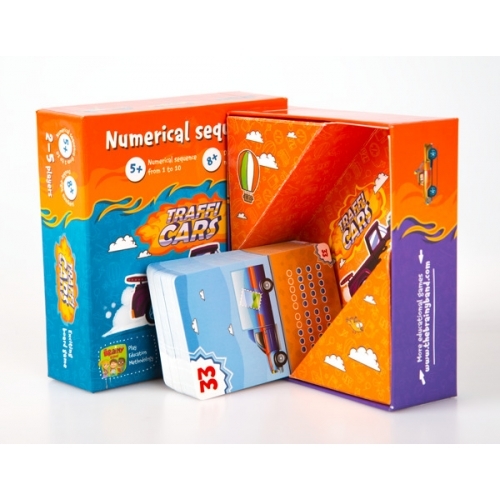 Differentiating between numbers like that can be difficult for younger children who are still learning to count. The dots also show that the number consisting of ‘two’ and ‘one’ – 21 is greater than 19, which consists of ‘one’ and ‘nine’. 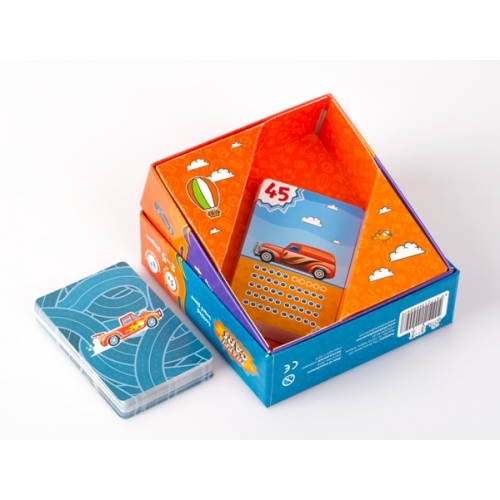 Take three cards from the deck and place each of them on its own row on a three-lane road. The players’ objective is to complete these rows in ascending order, from the smallest number to the greatest one. Players take one card each from the deck and simultaneously put them face up on the table. After that, they begin taking turns, starting with the player with the smallest number on his card. The card has to be added to one of the rows in such a way that its number is greater than the number on the previous card in the row. 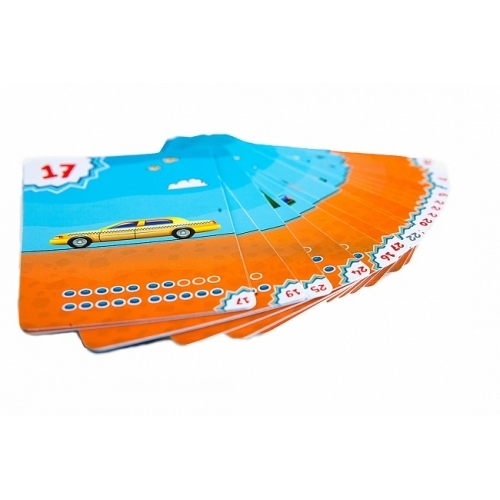 Moreover, the player has to choose the row ending with the number that would have the minimal difference with the number on his card. 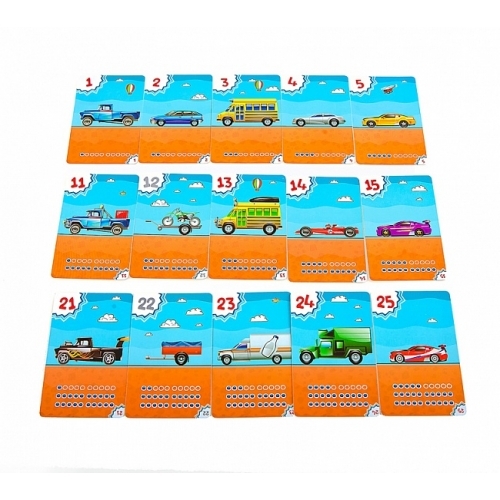 Whoever puts the fifth card in a row takes all the previous cards (because the traffic jam is too long), and his card becomes the first one in a row. If the number on the player’s card is too small and can’t be placed in any row, he takes all the cards from any row. 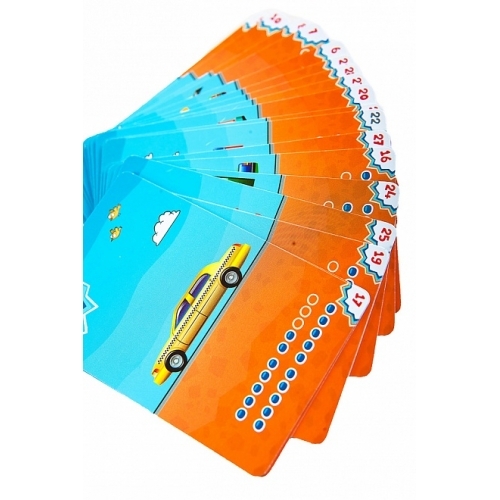 The player who collects the least number of car cards wins. Apart from the regular cars, special transport like ambulances, police cars, tow trucks, and trailers can pop up on the road. Each of them has its own role in the game, but all of them add fun and suspense.